This is SoCalUncensored.com’s Mike Draven back with your weekly recap of Lucha Underground that aired on Wednesday, February 11th on the El Rey Network. We start off with a video package from the previous weeks action building up for this weeks anticipated episode of Lucha Underground ending with the appearance of Former WWE Champion & current AAA Champion Alberto El Patron. 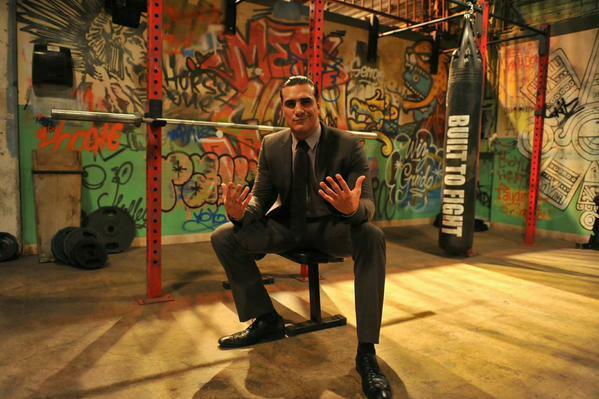 We see Alberto in Dario Cueto’s office as both men talk about his future in Lucha Underground. Alberto is asking for a chance to speak his mind in front of the lucha underground audience. As we see & hear the Mariachi band perform, we’re welcome by the Lucha Underground Commentators Matt Striker & Vampiro as they’re excited to have Alberto El Patron live in the temple tonight. Fenix vs Argenis kicks off this evenings action as Striker mentions that Argenis is the brother of Former WWE star “The Original” Sin Cara aka Formally Mystico & Fenix coming off a huge victory def Mil Muetes the week prior.In this fast pace match we would see Catrina make her way to ringside to watch Fenix in action & ultimately Fenix would get the victory over Argenis with a sit down driver. Catrina would make her way giving the “Lick of Death” to Argenis as she keeps her eye on Fenix. As we return from commercial, we see Catrina talking to Mil Muetes saying he couldn’t handle the power of a 1,000 lives until Muetes stopped her saying he needs nothing & puts her down & leaves until he runs into Chavo Guerrero in the hall which would lead to an altercation & Muetes saying he’ll see Guerrero in the ring next week. We see Big Rick in a confessional asking for forgiveness as to what he’s planning to do to those who betrayed him..Bael, Mr. Cisco & Cortez Castro. Big Rick will “Go Old Testament” on them. Son of Havoc (w/Ivelisse) is in the ring & announced he is dedicating his match to her and is waiting for his opponent an injured Johnny Mundo. The fans are split down the middle chanting for both men. Despite not being at 100%, Mundo continued to show Son of Havoc that a bad wheel won’t stop him from putting on a high caliber match. In the end, Son of Havoc attempted a shooting star press but got the double knees to the gut allowing Johnny Mundo to set up his “End of the World” or “Starship Pain” finisher for the victory. King Cueno would come down & attack Mundo, nailing his “Thrill of the Hunt” Finisher on Mundo as he laid him out & leaves. Pentagon Jr def “The Mirror Image” Ricky Mandel with his Armbar finisher, not breaking it after the ref has given him the victory & decided to break the arm of Mandel. Pentagon would grab the mic & tells his master that he’s given him another sacrifice. Ring Announcer Melissa Santos would introduce Alberto El Patron to the fans in attendance to a huge ovation. He would talk about his accomplishments in Pro Wrestling conquering everywhere he’s wrestled, his family dynasty & why he is here in Lucha Underground saying that its love, its passion and the word “EQUAL” means something here & that’s why he left “The Big Company”. He would then be attacked by Texano who is the Former AAA champion & the man Alberto defeated for the AAA Championship. Texano would hold up the AAA championship & said that he’ll be coming back for the championship as the show ends. 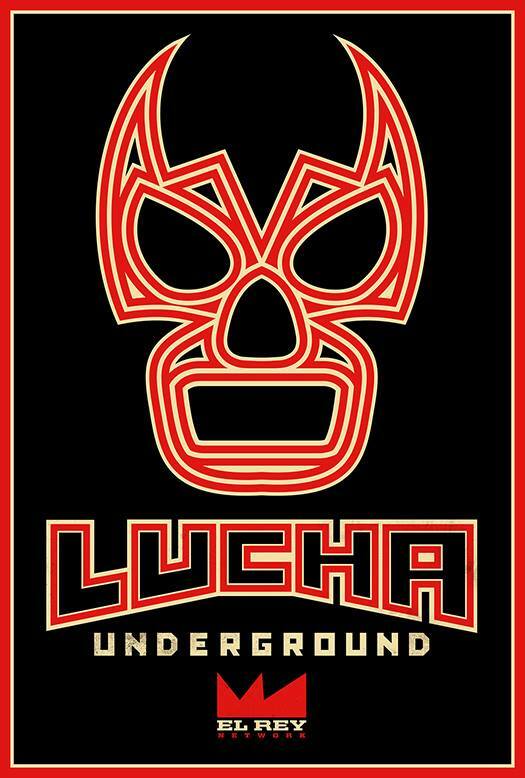 Again, another great episode of Lucha Underground on the El Rey Network and this episode I was in attendance for this taping. Due to time restraints, I know the show was edited to fit for time. But now that I can say when the announcement of Alberto El Patron, there was a hush in the crowd before the eruption of cheers & I’ll tell you that it was an extremely loud pop for Alberto. I remember that it did take him a bit to talk since everyone was chanting for him & Alberto did enjoy that coming back out to the crowd to celebrate. But after the attack from Texano at the end of the taping, Alberto was up on his feet and talk a bit more before he would again go into the stands with the fans. These next couple of episodes coming up I wasn’t in attendance so I’ll be looking forward to see where everything goes from here on but I know the next episode I attended will be aired in March & trust me you’ll enjoy it. So until next time, this is Mike Draven & I’ll see you at Ringside! !